An anterior cruciate ligament (ACL) tear is common but a painful and complex knee injury that requires surgery to reconstruct the ligament. 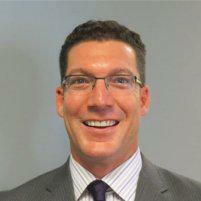 Dr. Brad A. Cucchetti, with offices in Phoenix, Arizona, is a skilled orthopedic surgeon who specializes in ACL tears. For ACL repair, Dr. Cucchetti uses a minimally invasive surgical technique that eliminates pain, restores knee function, and gets you back to your routine activity faster than traditional methods. 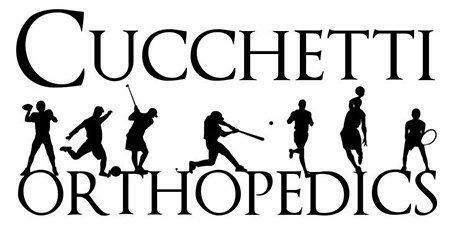 Call Cucchetti Orthopedics today or request an appointment online. The ACL is a tough band of tissue that runs diagonally across the front of your inner knee joint. It helps control rotational stability of your knee and prevents the tibia, or lower leg bone, from moving out of position. ACL injuries are most often complete tears rather than partial tears or milder sprains and occur when your knee exceeds its normal limits of motion. This stretches, then snaps the ligament. Activities such as soccer, football, and basketball often are responsible for ACL tears, but any sudden pivot or awkward turn of the knee can affect the ACL. Ignoring an ACL tear can cause further damage to other structures in the knee due to joint instability, such as the meniscal cartilage. What is surgery and recovery like? Dr. Cucchetti uses arthroscopic surgery to reconstruct ACL tears. Arthroscopic surgery is a minimally invasive procedure that utilizes surgical instruments inserted through small incisions near the knee, including a tiny camera that projects an image of your knee joint onto a screen in the operating room. Because a torn ACL cannot be stitched back together, Dr. Cucchetti uses a tissue graft, often taking this from your patellar tendon, to rebuild the torn ligament. The arthroscopic method reduces pain following surgery and speeds recovery time since there’s much less soft tissue damage compared to that sustained with traditional surgery. However, because it takes time for tissue from the graft to regrow, it can take several months before you’re ready to return to full activity. A vital part of recovery includes the rehabilitation program Dr. Cucchetti designs to restore full function and mobility to your knee joint following surgery. Following the plan carefully can get you back on the court or field sooner rather than later.